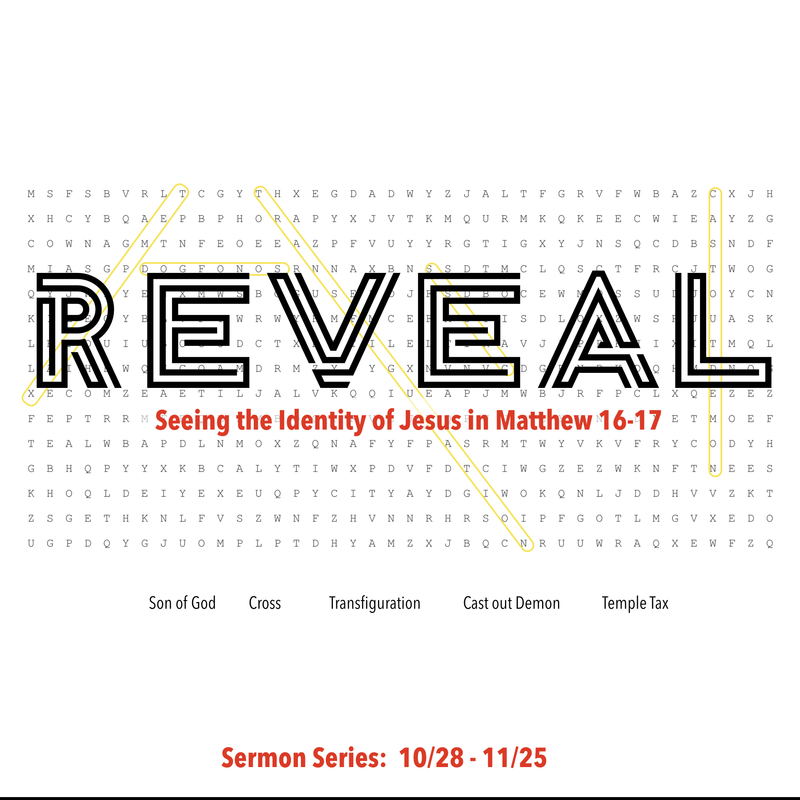 On Sunday, November 4, 2018 at Wildwood Community Church, I preached a sermon based on Matthew 16:21-28. 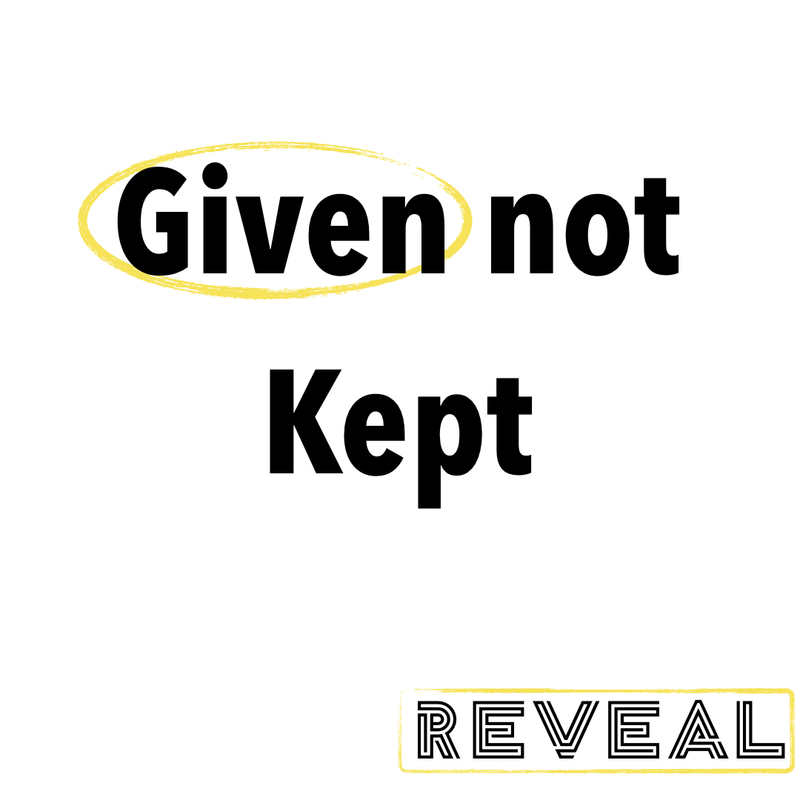 This message was part 2 in the “Reveal” sermon series. 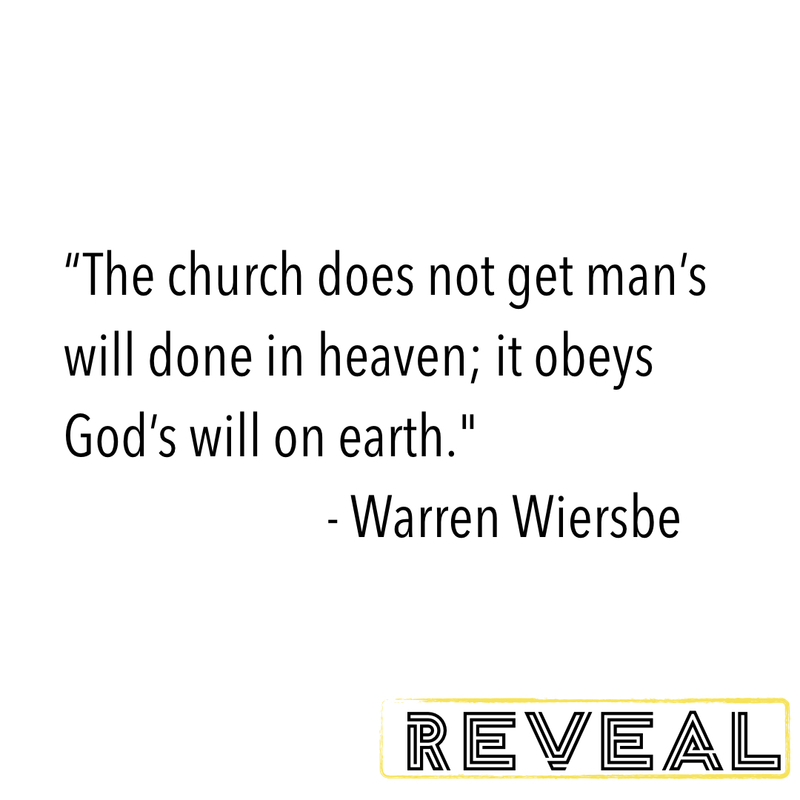 Below you will find the audio from the sermon to listen to, download, or share. 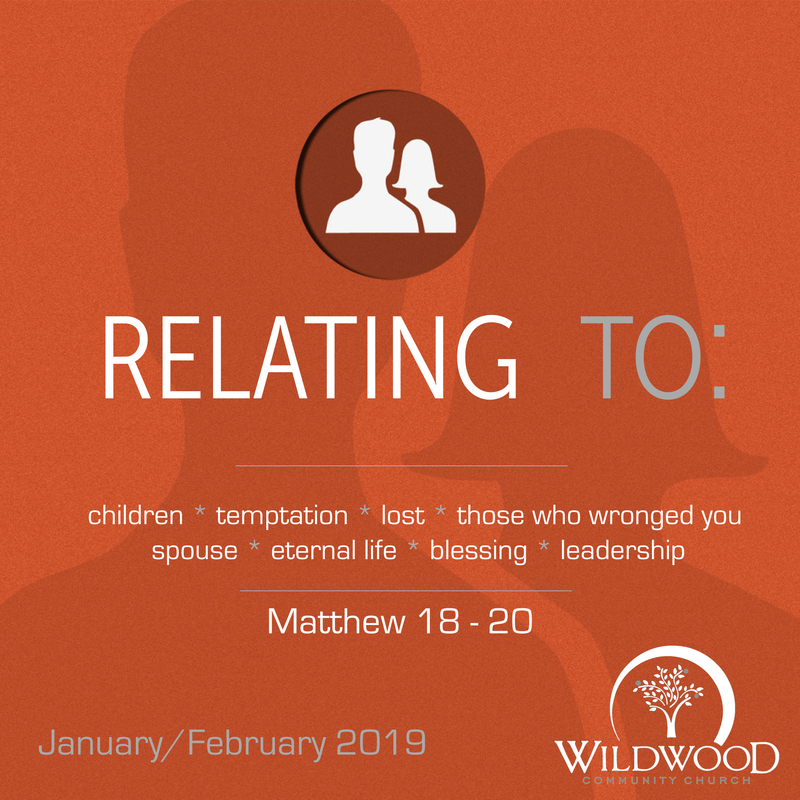 On November 4, 2018 I preached a sermon at Wildwood Community Church based on Matthew 16:21-28, 17:22-23, 20:17-19. 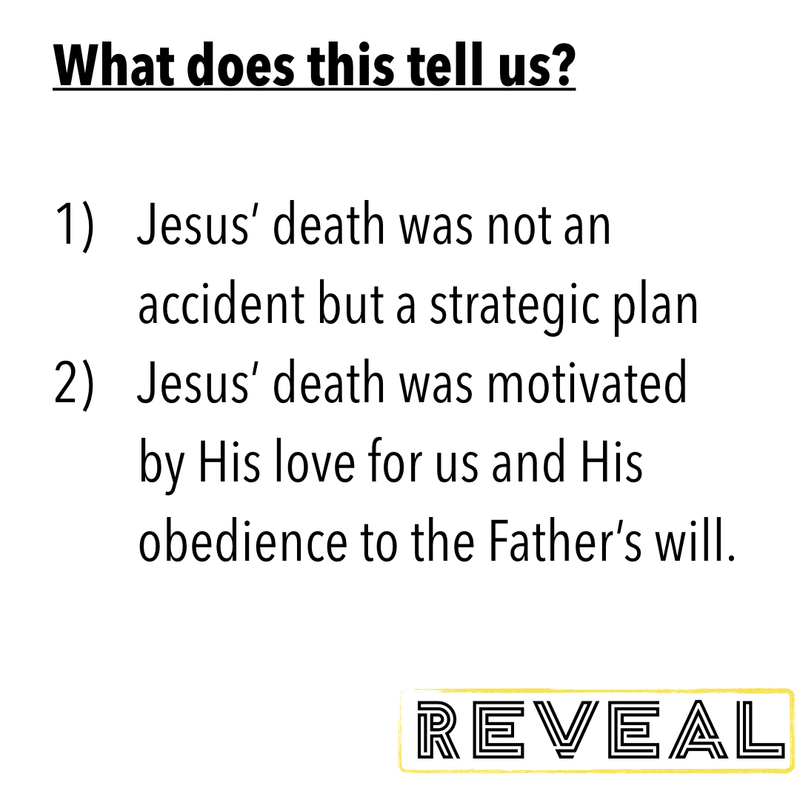 This message was part 2 in the “Reveal” sermon series. Below are a series of questions related to this message for personal reflection or group discussion. 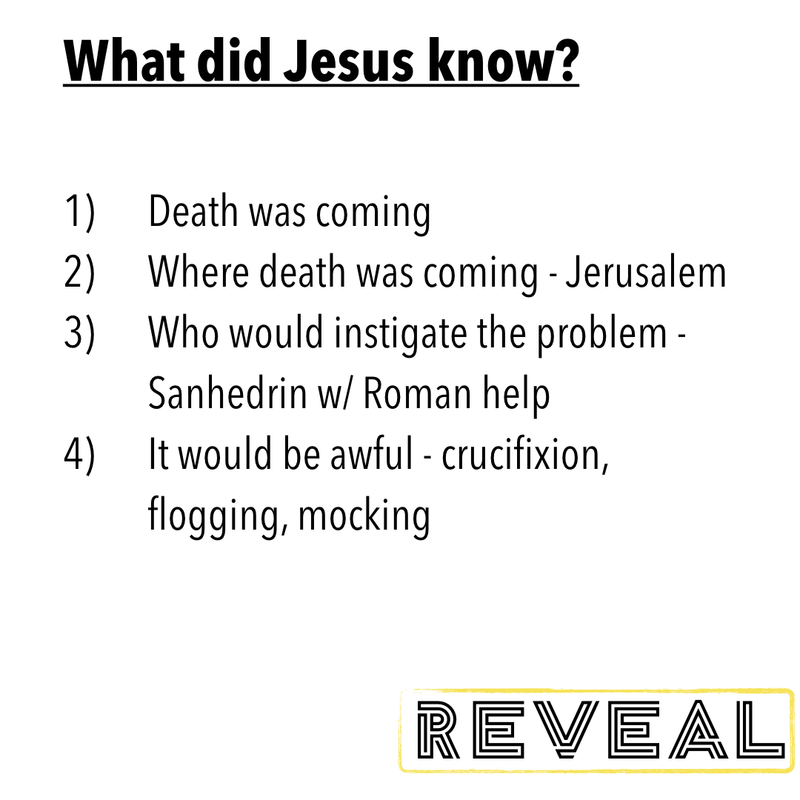 In all the Scripture passages read above, Jesus prophecied about His death long before it happened. 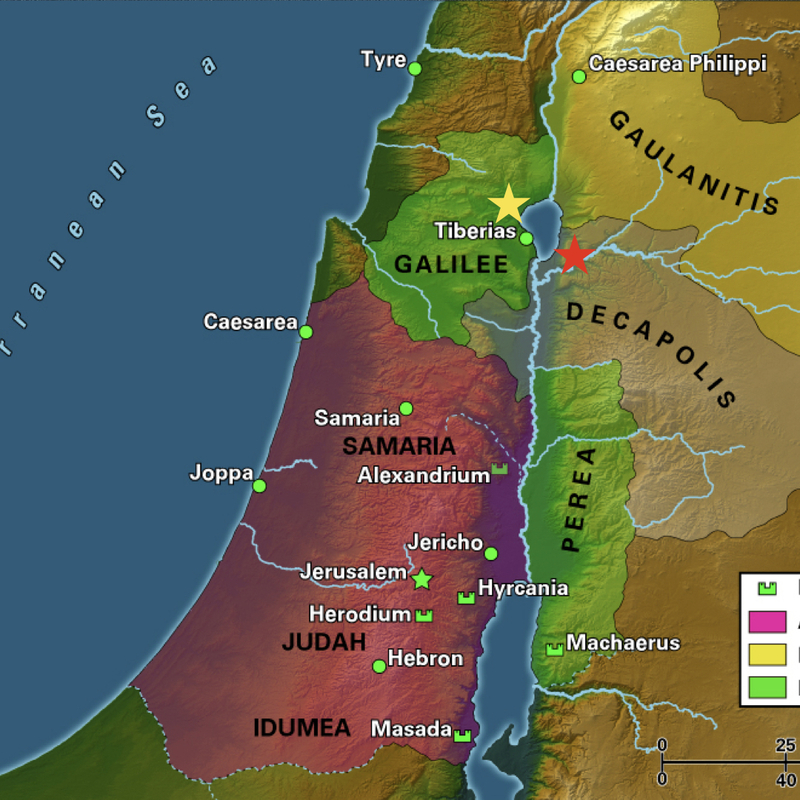 This means that Jesus KNEW what was awaiting Him in Jerusalem and yet He proceeded to walk straight there! What does this tell you about Jesus? What are some ways that you are tempted to discard REVELATION from God in Scripture in favor of your personal REASON or intuition? Discipleship is about following Jesus. As we follow Him, Jesus calls us to deny ourselves by making Jesus the center of our lives (not ourselves at the center of our lives.) Have you made this decision? Are you continuing to make this decision in all areas of your life today? If not, where do you need to practice “self-denial” today? As we follow Jesus, we also must take up a cross. Taking up a cross is not a generic sense of hardship, but specific opposition and ridicule that we will experience because of our connection to Jesus. Have you experienced this kind of opposition before? If so, what was it? Jesus promises us that following Him is worth it, as He will reward us in the end. In what ways is it “worth it” to follow Jesus . . . even if it means denying yourself today and experiencing ridicule and persecution? There is a subtle temptation that exists for all people. While some are tempted by an addictive substance, and others succumb to the allure of sexual immorality, I believe there is a forbidden fruit every one of us tries to bite: a desire to create God in our own (fallen) image. What do I mean? God is who God is. After all, His name as revealed to Moses at the burning bush was “I Am.” God defines all things, including Himself. But we all have a temptation to pour God into the mold of our reason or imagination . . . and the Living God just does not fit our mold. We think a loving God would not allow suffering, and yet God is Love and there is suffering in the world. We think a holy God would not allow evil, and yet God is holy and Satan prowls about the earth God created. We think 1 + 1 + 1 = 3, yet in the identity of God we have a Trinity where 1 + 1 + 1 = 1. You see, as people, we think we know everything about God, and yet there are things about God that we simply just don’t understand; from our perspective Jesus often does unexpected things. If we are left only to our own reason and intellect, we will create a god that may have SOME resemblance to the real thing, but ultimately we will miss the mark, because God cannot be contained by our reason and intellect. Thankfully, God REVEALS to us His identity and invites us to embrace Him for who He really is, instead of who we think He might be. As Jesus neared the time when He would head to the cross, He began to increasingly talk about His imminent torture, execution, burial and resurrection. 3 times from Matthew 16-20, Jesus directly tells the disciples what is getting ready to happen on that first Good Friday-Easter. Yet, as Jesus talked about what was to come, Peter actually REBUKES Jesus. He literally tells Jesus He was wrong for making such a prediction! Peter had either let that “keys of the kingdom” comment go to his head, or (more likely) was simply pouring Jesus into the mold of what he thought was the most reasonable thing for the Christ to do next. 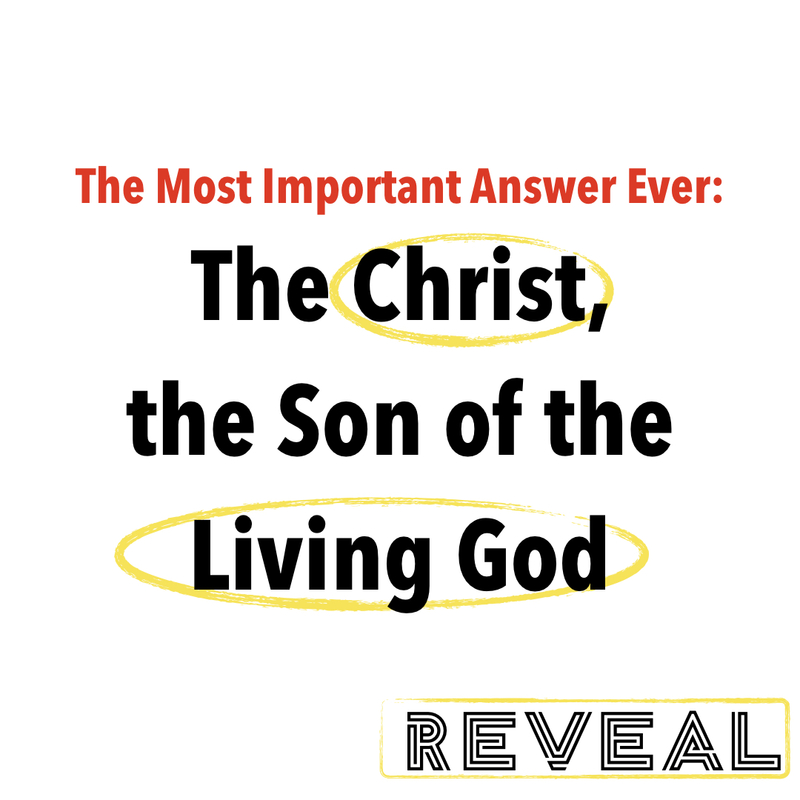 After all, who would expect the Son of the LIVING God to DIE? Yet that is exactly what Jesus did. This reality (of course) is far greater than what Peter had in mind, both in what it accomplished (our salvation) and what it was rooted in (reality instead of fantasy). 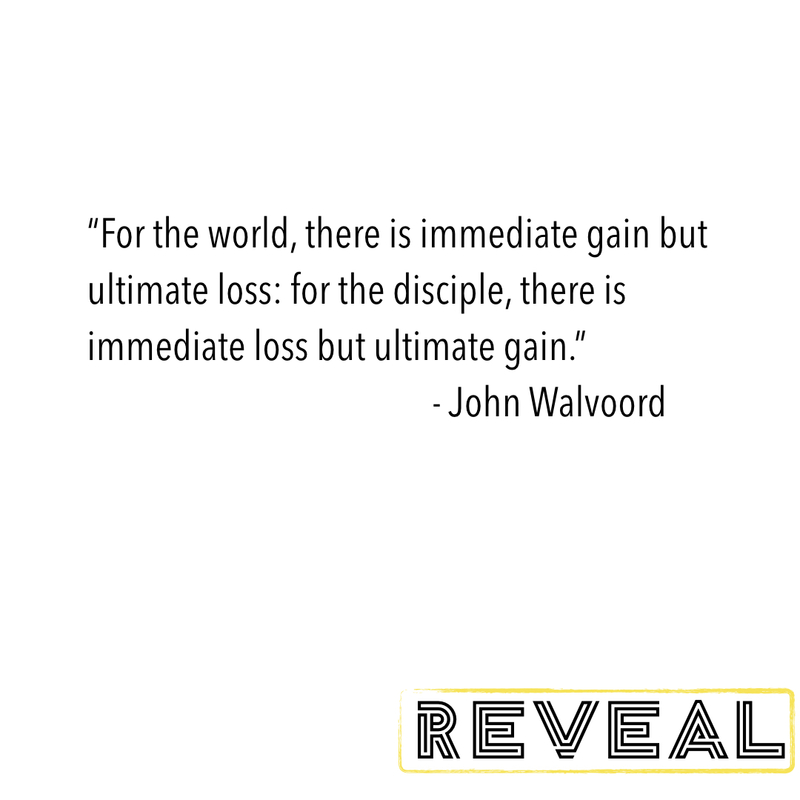 This Sunday at Wildwood, we will continue our “Reveal” sermon series by looking at Matthew 16:21-28, 17:22-23, 20:17-19 and Jesus’ promise of the cross AND the empty tomb. We will also share in the Lord’s Supper together. Hope to see you in our 9:45 or 11:00 worship service! On Sunday, October 28, 2018 at Wildwood Community Church, I preached a sermon based on Matthew 16:13-20. 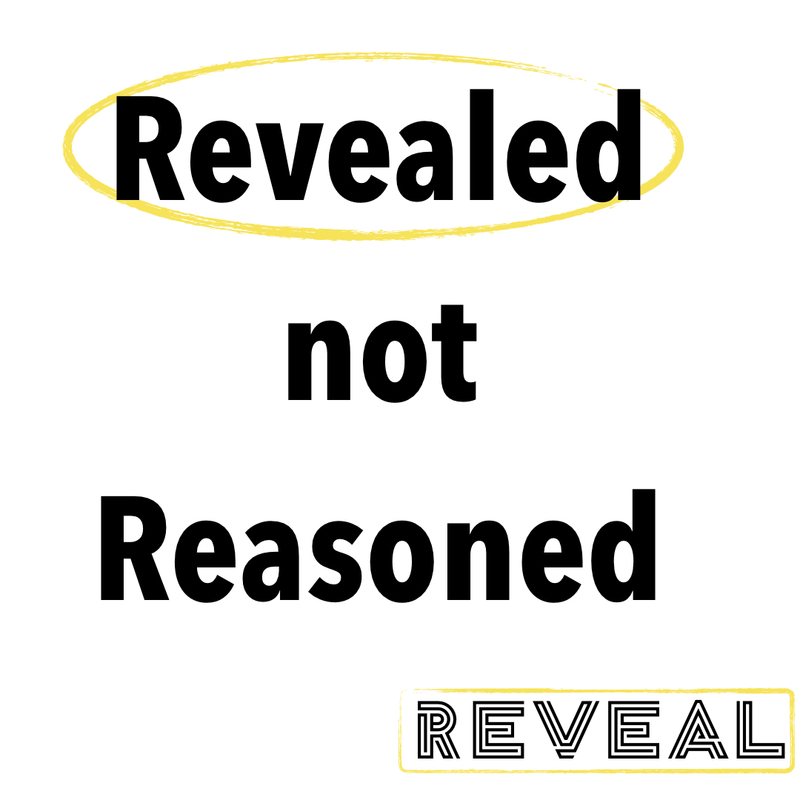 This message was part 1 of the “Reveal” sermon series. The audio from this sermon is available below to listen to or share. On Sunday, October 28, 2018 at Wildwood Community Church, I preached a sermon based on Matthew 16:13-20. 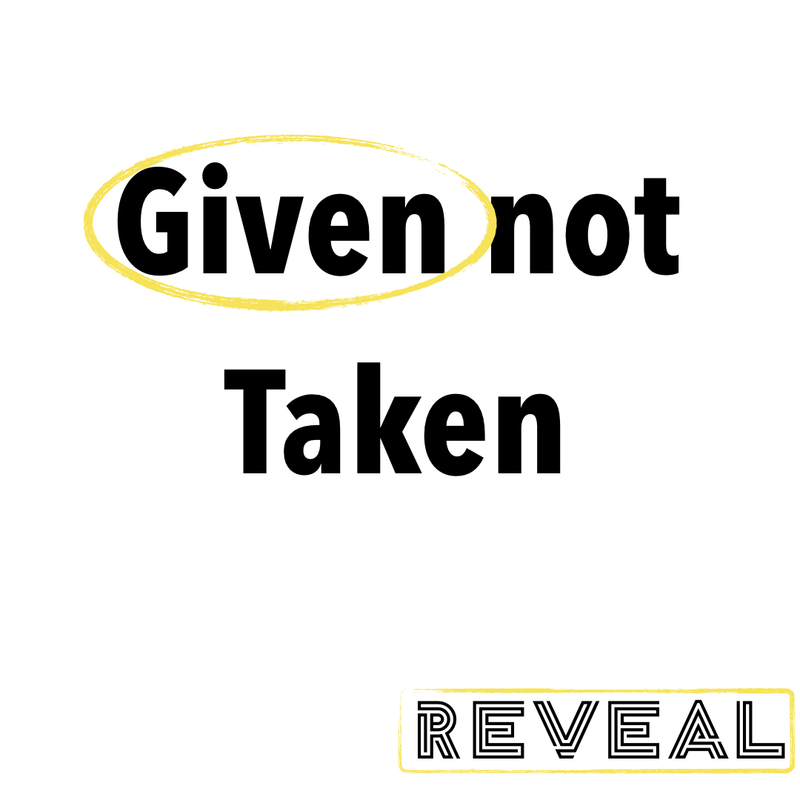 This message was part 1 in the “Reveal” sermon series. Below are a series of questions related to the message for personal reflection or group discussion. 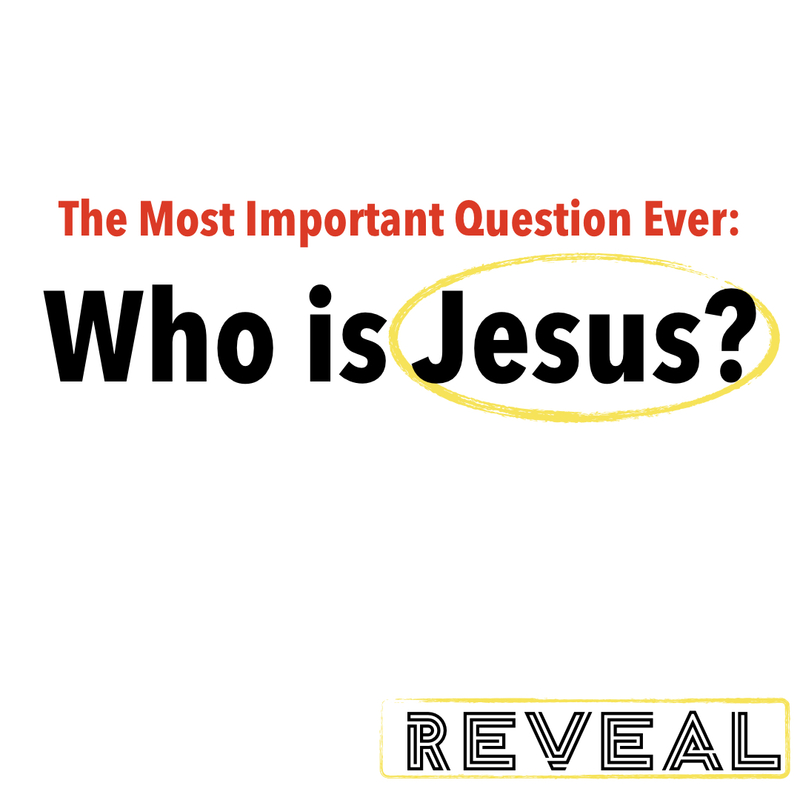 If you were to go door to door down your street or around your school or at your work place, and ask the question “Who is Jesus?” what are some of the answers you think you might hear? How would YOU answer the question? Who do YOU say Jesus is? 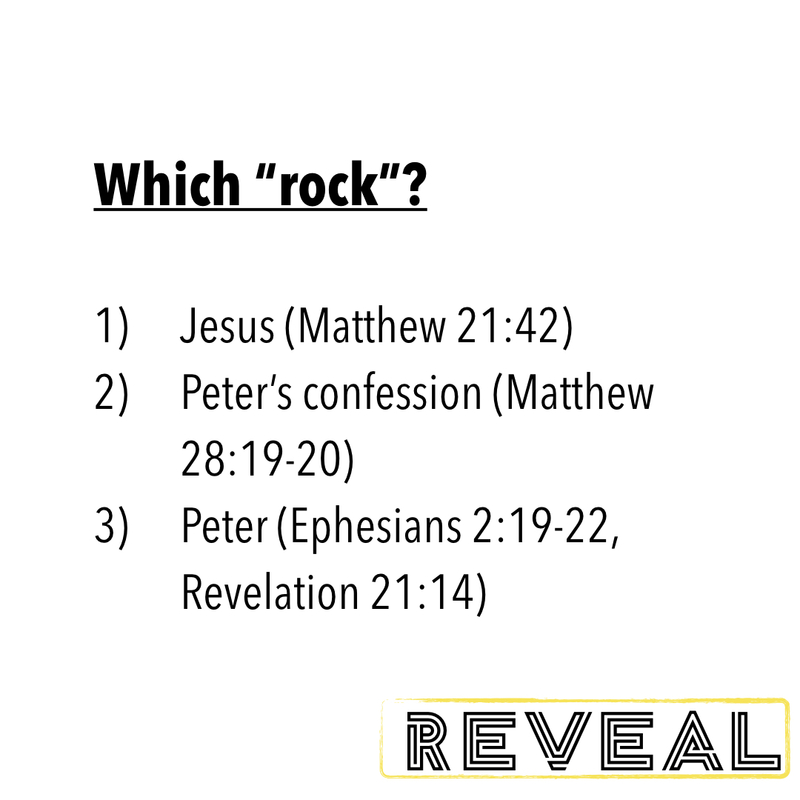 How does your answer compare to Peter’s? What have been the things/people that helped shape your answer to this question? 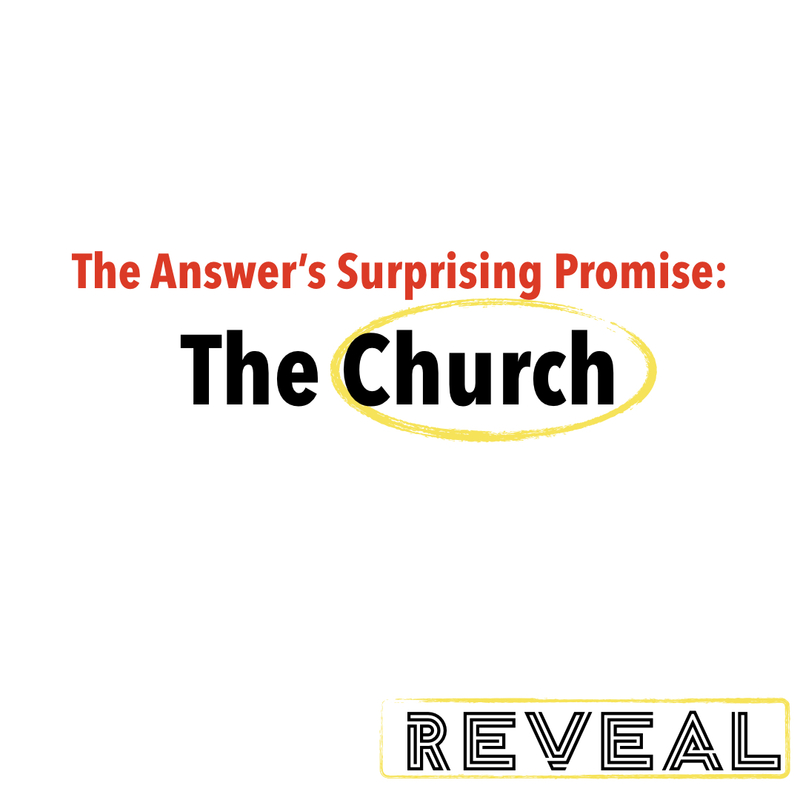 What do we learn about the church in Matthew 16:18-19? 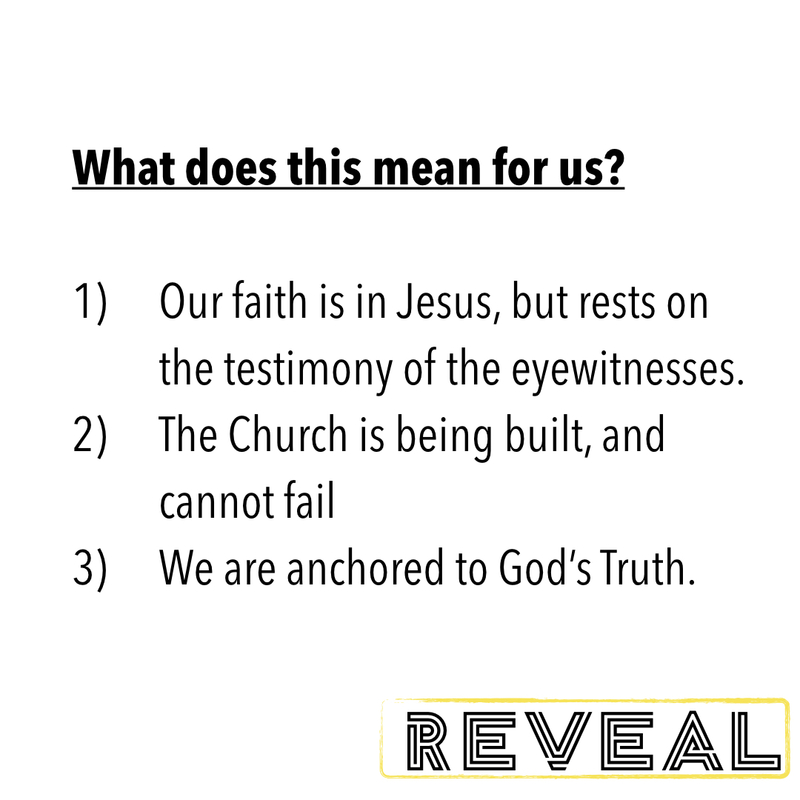 In what way is your life anchored to God’s Truth? Are there any areas of your life where you have wandered away from God’s Truth? Important things are often revealed in important ways. I remember the night I proposed to my wife. She did not know what I was planning, but the evening of January 16, 1996 was several months in the making. Conversations with family, purchasing a ring, consulting with a friend on the perfect meal to cook, arranging another friend’s apartment to host the dinner, hiding the wedding ring on the shelf in the bathroom, deciding what to say when I popped the question. A LOT of planning went into that night. So, as the moments wound down to when I would be picking Kimberly up for our date, my heart was pounding a thousand miles an hour. I could not wait to reveal to her my hopes for our future together. After dinner and desert, I got down on one knee and asked her to marry me. In a sense, I pulled back the curtain of my soul to show her these important things I had been planning and thinking (and hinting at) but had not revealed to her in such a plain way. 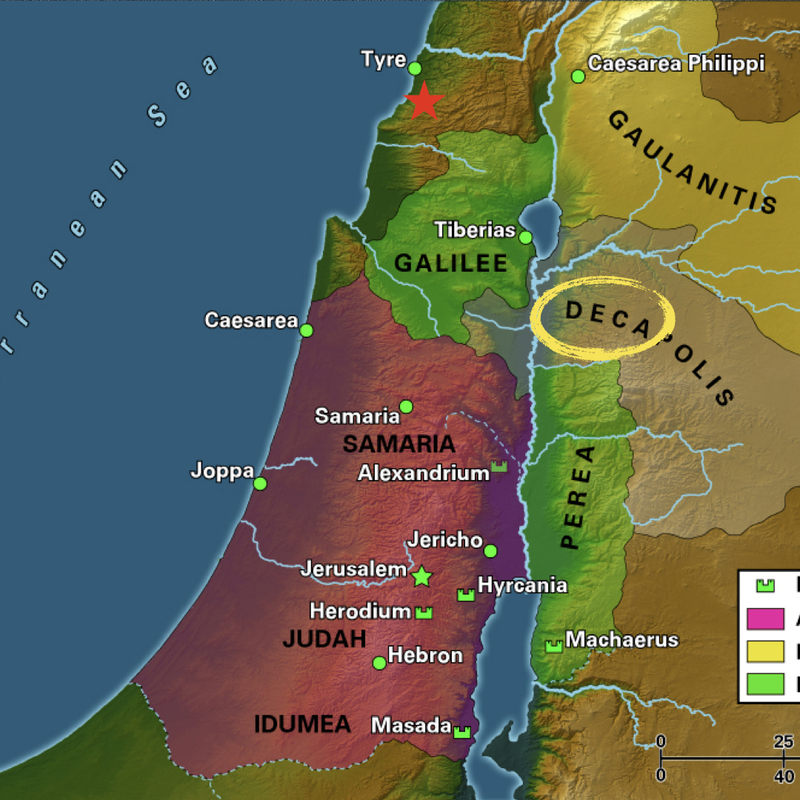 As Jesus’ earthly ministry was winding down, He was planning something amazing. From eternity past, He had a plan to invite us to spend an eternity with Him in His Father’s house. The virgin birth, authenticating miracles, authoritative teaching . . . all were setting up His plan: to offer His life as a sacrifice for our sins, so that we might be forgiven, and so that where He was, we might be also. 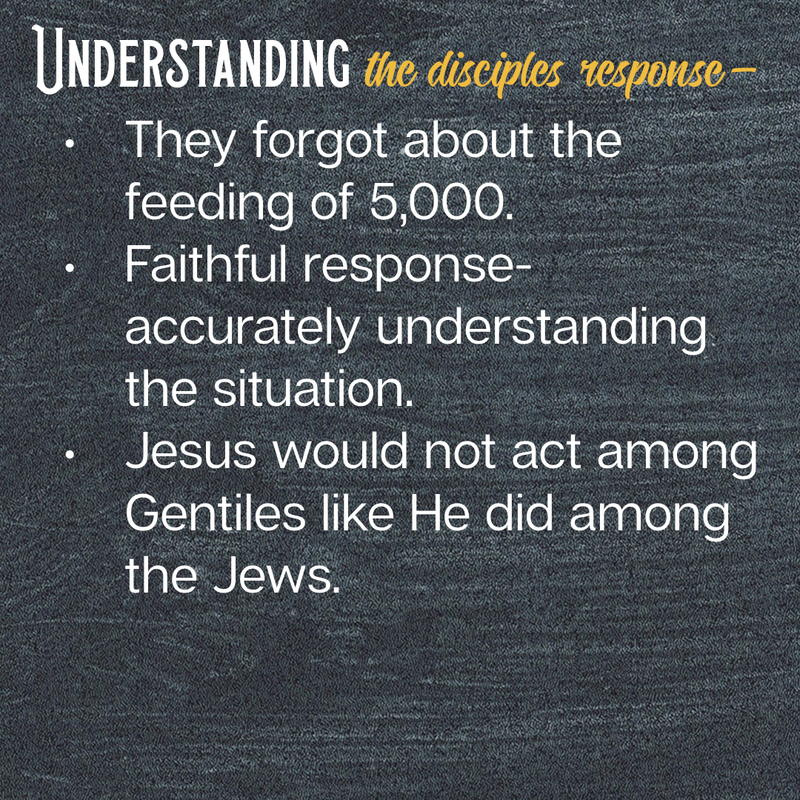 In order for the disciples to say “Yes” to Jesus, they needed a fuller understanding of who Jesus was . . . and in Matthew 16-17, Jesus takes the time and effort to Reveal His true identity to His followers. As people who live today 2,000 years after the earthly life of Jesus, we also need to go back and look at these stories to see who Jesus really is. After all, we are reluctant to follow One we don’t know. So join us at Wildwood this next month, beginning October 28 in our 9:45 and 11:00 services, as we see Jesus as He Revealed Himself, with the hopes that we will say “Yes” and follow Him. See you Sunday as we kick off this series by looking at Matthew 16:13-20. On Sunday, September 9, 2018, I preached a message at Wildwood Community Church based on Matthew 15:32-16:12. 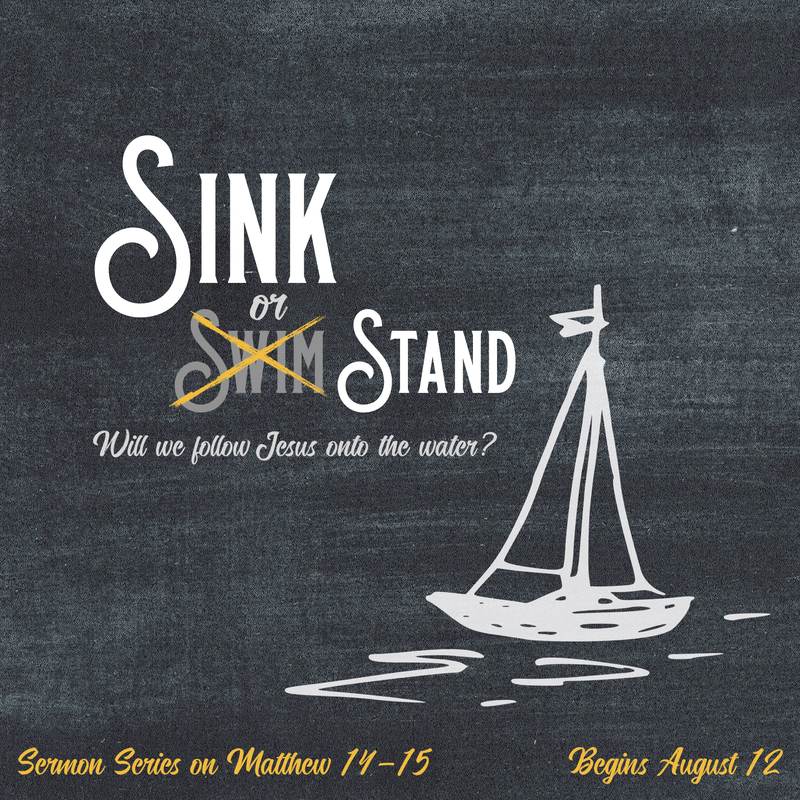 This message was part 5 of the “Sink or Stand” sermon series. Below is the audio from the sermon to listen to or share. 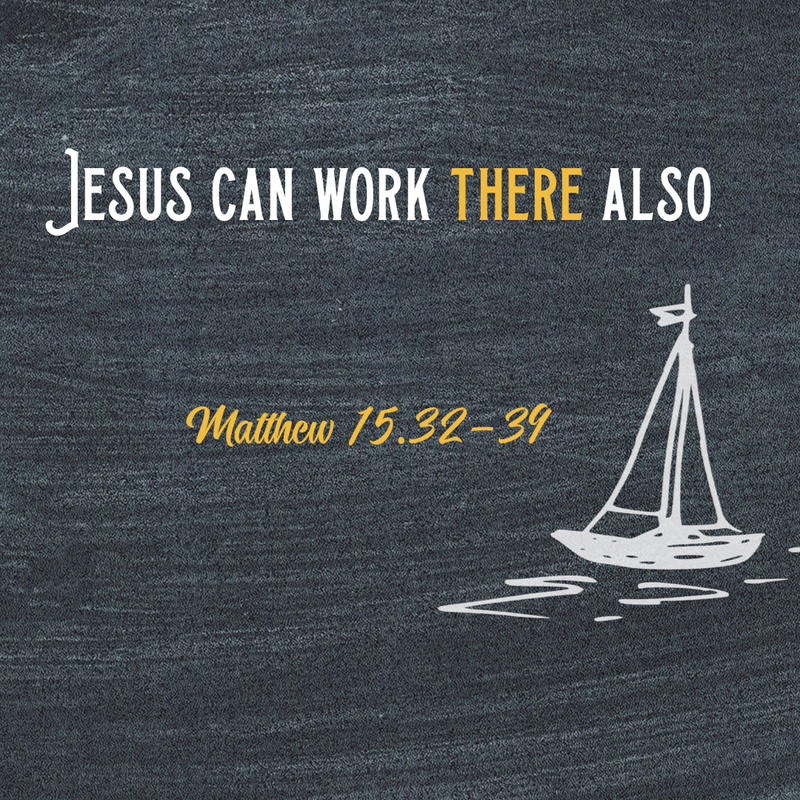 On Sunday, September 9, 2018 at Wildwood Community Church, I preached a sermon based on Matthew 15:32-16:12. 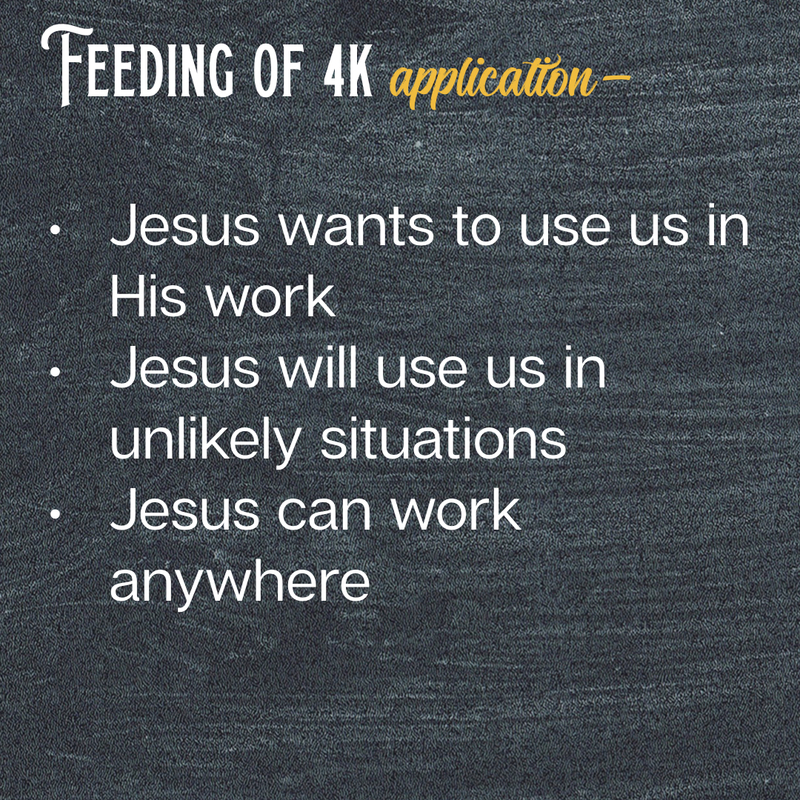 This message was the fifth and final part in the “Sink or Stand” sermon series. Below you will find a series of questions related to this message for personal reflection or group discussion. What limitations do you (or others you know) put on God today? (i.e. 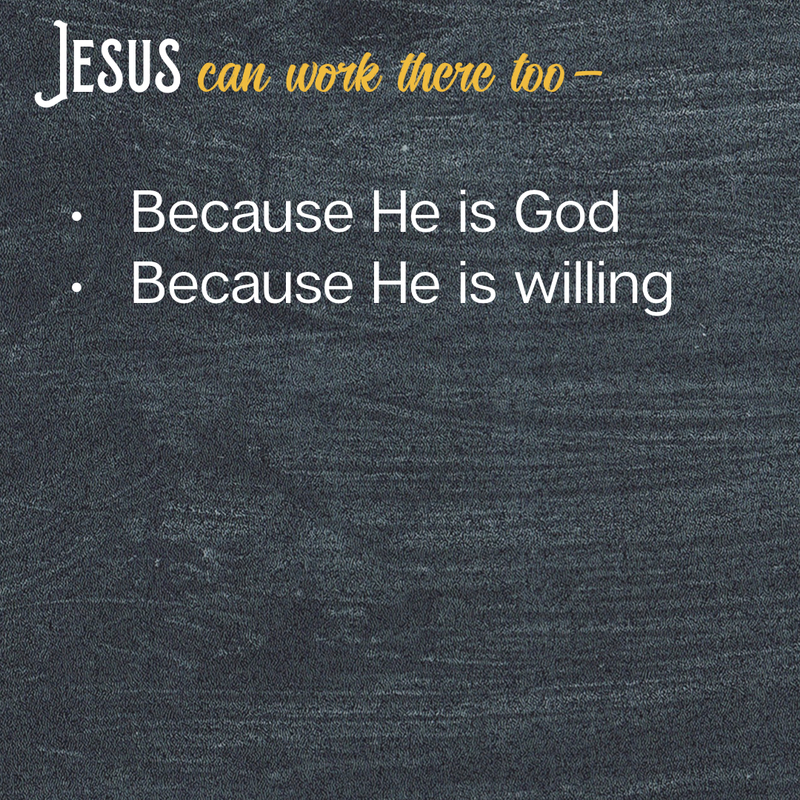 God can’t _________ or God won’t __________? In this passage, Jesus demonstrates that He wants the disciples to be His ministers of grace, even among people considered “outsiders.” Who is someone in your life that God wants you to serve or love that you have been ignoring or neglecting in some way? 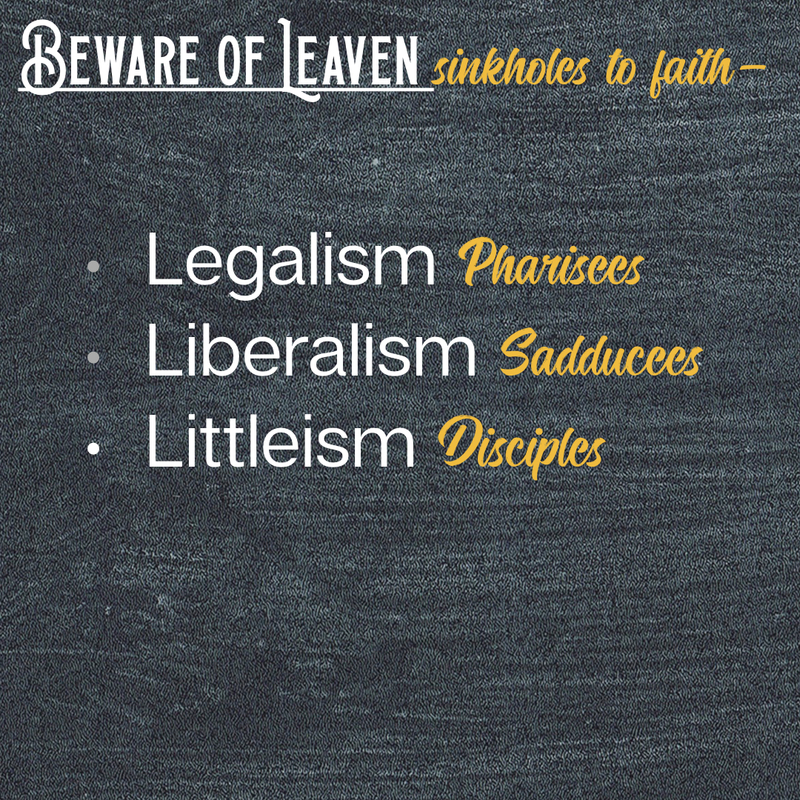 There is a danger in the Legalism of the Pharisees, the Liberalism of the Sadducees, and the “Littleism” of the Disciples. 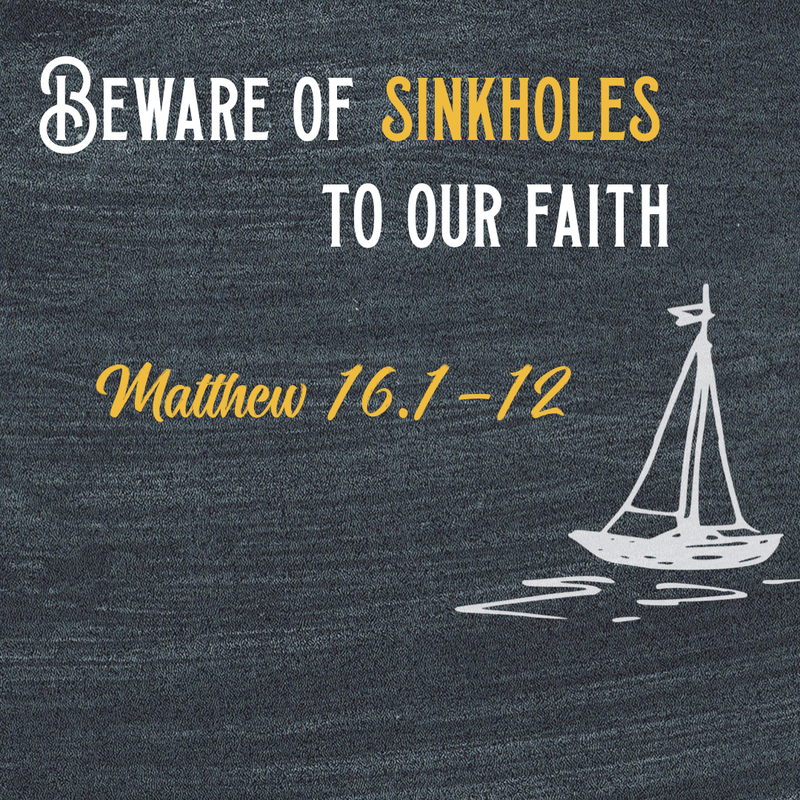 Which of these 3 sinkholes to faith are you most afflicted by today? 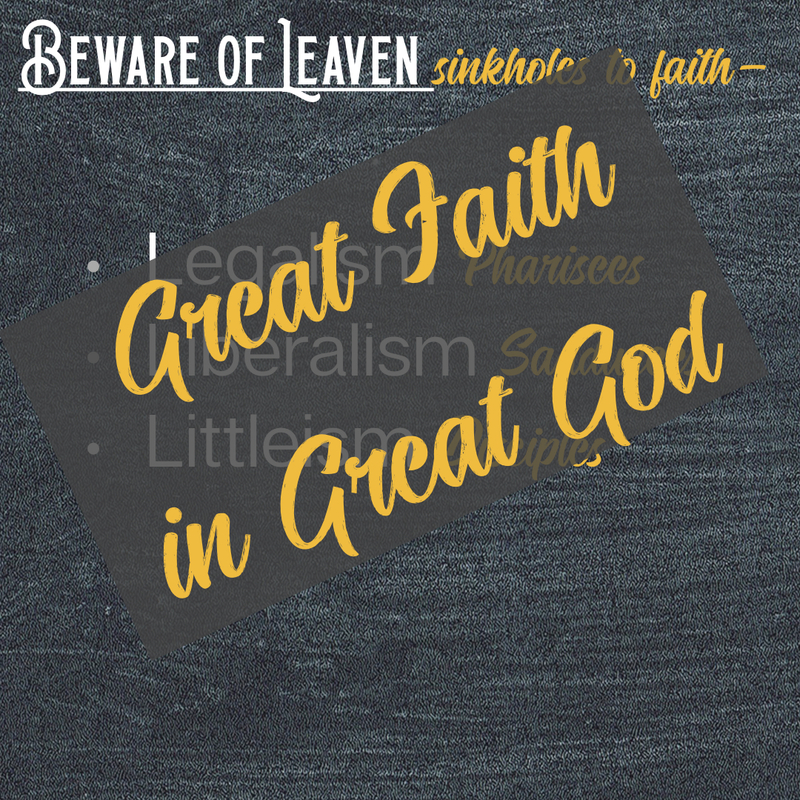 What would it look like for you to stand in great faith in your great God today in your life?